Why Go Professional with Cisco Certs? I have had the opportunity to take and thankfully pass Cisco certifications at the associate levels and there is one more associate exam, the CCNA Data Center which hopefully I will get later next year. While looking at the CCNA Data Center exam I also glanced over the professional arena that Cisco offers and if you’re like me I always like learning new things especially in technical field. Getting those “aha moments” once in a while makes it worth it, but beyond just over all knowledge of additional technologies why would you go on taking a professional Cisco cert? I find these type of questions all over web, “Is CCNP worth it?” My answer is it depends on your current job situation. Let’s say you are in dead-end entry-level technical position, you’ve been there for a couple of years and for the most part your job hasn’t change. Would getting a CCNP automatically move you up those ranks? Probably not. You also have to look at the company you’re working for, is this just an average company, and all that is needed is a technical person or team depending on the size to support the environment? Would getting a CCNP be worth it, are you actually going to be using that knowledge you learned to better help the company? Or would that be wasted time and money? Let’s say you don’t have your foot in the door and you are right out of college or even high school would getting a CCNP get you noticed? Absolutely however I would not recommend getting a CCNP and then looking for a job. Start out with Network+ or CCENT get an entry-level position and start getting that experience that employers often look for. I know its easier said than done but for both of these situations and in my opinion if you can longer move up the ladder or the company is not focused or in need of CCNP knowledge, find a company that is before you start studying in the professional arena. I also think it depends on where you live physically are there actual companies in your area that are in need of CCNP candidates? Or would you have to move, and most importantly do you want to move? Unfortunately these are all questions that I would need answered before I would even start looking in the professional arena personally. When putting this post together I was also reading a published a white paper that Cisco put out recently looking at the value of Cisco Certified Employees take a look at the linked PDF and like always I hope this information is helpful, comment below of what you think about of professional certs? Do you have any, have they helped out and are they worth it? 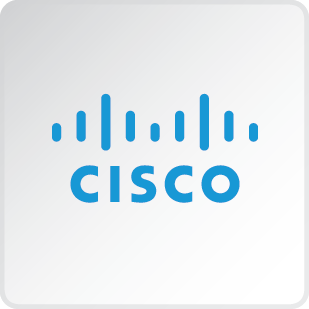 What Is the Value of a Cisco Certified Employee? Next Post CCNA 2.0 What’s New?